What is silence? Sometimes the best sound in the world; soft, smooth, enjoyable and power-enhancing. Next, embarrassing, demanding, worrying, choking – yes, simply unbearable. Silence speaks to you – breathless or deafening as a savage roar. Silence is taken for granted but as tranquility and contemplation it is a luxury for a lot of people. To others there is far too much Silence. 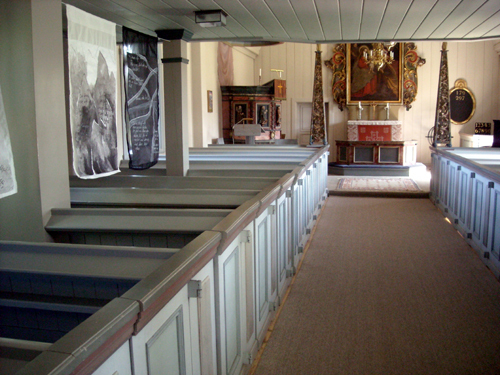 In Norrland, the vast area north of Stockholm, there is plenty of silence and fantastic churches where you encounter a concentration of silence. Many churches in the countryside are threatened by abandonement and therefore sadly suppressed. 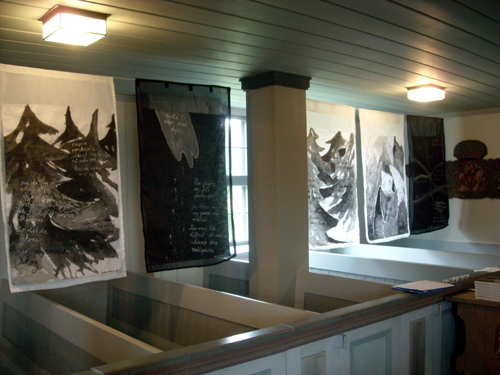 Our mission is to bring forward the interesting in these inspired rooms of silence. To let silence be a positive force in the exciting meeting/encounter between these rooms’ historical, aesthetical atmospheric qualities and the present-day creators of culture. 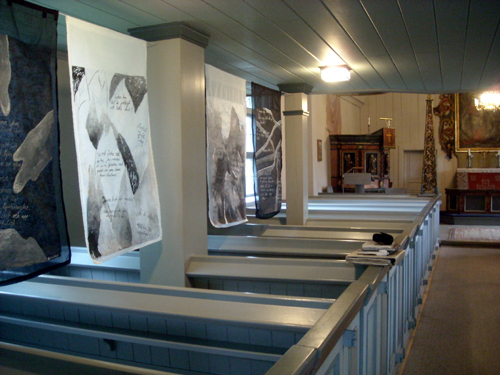 My church is situated in Överhogdal in Härjedalen. 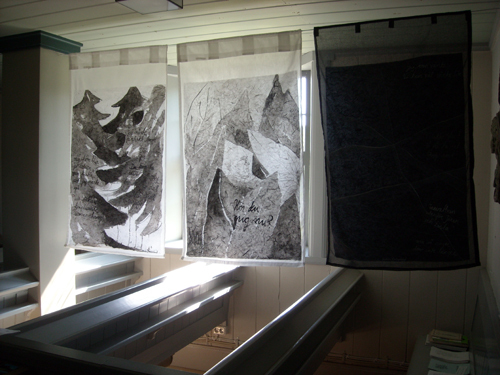 I made an installation called ” Talking with Bengt”, it´s about a friend who was deaf and how we communicated. 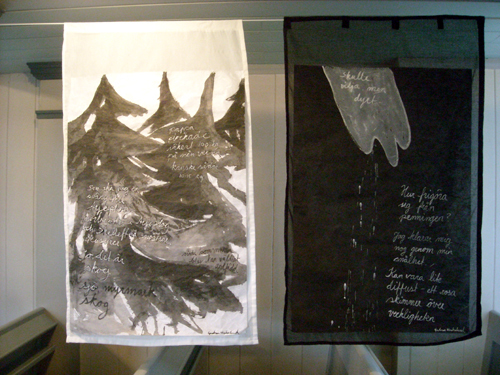 I have written fragments of our conversations on painted rice-paper.